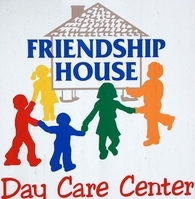 All of the programs at Friendship House are based on the PA Standards for Early Childhood Education with an emphasis on the skill levels at appropriate ages. We also offer a number of ALL-SCHOOL activities where family members are invited to participate to come and read and play with the children. We celebrate the seasons and learn how to make applesauce, pick and paint pumpkins, have visits from many of our community helpers, learn about some of the Master Artists and create our own Art Show. During your child’s first year of development, our teachers nurture, love, and care for your child in a secure and warm environment while encouraging exploration, movement, and communication. Our teachers also introduce American Sign Language, songs and stories for emergent language skills. Our infant Room is a safe environment where your child can progress at their individual speeds. Toddlers have limitless energy and a wonderful natural curiosity for learning. They are learning to be independent and to establish their own independence. Their curriculum focus is on developing language, learning beginning life skills, introducing colors, basic shapes, numerals 1-5, following directions and developing their motor skills. Our teaching staff offers a variety of opportunities and experiences to stimulate the children. These activities allow the toddlers to engage and explore as they learn through “purposeful play”. Children learn by doing and “play” is their work. They learn best when they are active participants. Our Toddler Program is based on the belief that children learn best through play with active hands-on activities and using their senses. Their daily schedule is a combination of free play and teacher directed projects. Children learn in steps and build skills on known experiences. Over the course of the Pre-School year, our focus is to continue their learning using their senses, “purposeful play”, centers and expanded experiences all based on the . Pre-Scholars are naturally curious and full of energy. They are becoming more and more independent and desire new learning experiences daily to further their social, emotional, and academic growing process. We use multiple learning centers to enhance their opportunities for “hands on learning” experiences. Children in the Pre-K class are preparing for Kindergarten with their advanced skills in fine and gross motor areas, handwriting, emergent math skills, and social skills. All activities are building skills for school-readiness while learning to work in groups in cooperative play as well as working independently. The children are also encouraged to expand their individual self- help skills during snack time and class time. This special class builds and expands the skills of the PA Standards for Kindergarten. The children will explore units in basic science, math, handwriting, and language skills. 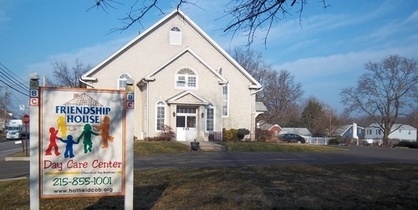 They also will practice cooperative play and study the seasons of the year.